Mini autos are owned by BMW and are known for their luxury, high level	of performance and compact size. If you are in need of Mini Cooper auto	repairs in Sacramento, visit our shop today. We provide premium repair	services for all German made vehicles. Our mechanics are specialists in	the field, so you can count on us for Mini vehicle service that meets	the highest industry standards. 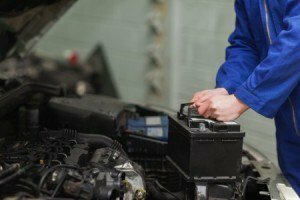 Although many people falsely believe that a specialty auto repair shop	simply equals a higher cost, the truth is our specialty shop can often	save you money. Because our mechanics are extremely knowledgeable in German	auto repair, they can pinpoint your Mini’s repair needs quickly. They won’t waste your time or money with the wrong repairs. Instead,	with our state of the art technology, they will be able to pinpoint the	problem efficiently and find you an effective solution right away. When you bring your Mini in to our auto repair shop, we will begin with	an engine diagnostic. 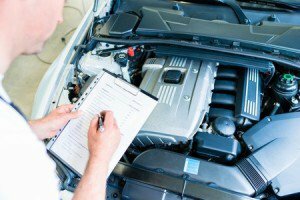 Our mechanics are well versed in pinpointing even	the smallest issues in vehicles, so please stop by with any problem large	or small. Once we have performed an engine diagnostic on your Mini, we	will provide you with a detailed assessment of the problems at hand. And then our mechanics will help you find the perfect solution for your	vehicle. We are always honest and upfront with our clients. We are not	out to price gouge you or convince you of repairs you do not need. Instead,	our goal is for you to be back on the road driving safely and smoothly	in your Mini. For the best Mini auto repairs in Sacramento, come visit Frank’s	Automotive. We will provide you with high quality, Mini vehicle service	at an affordable rate. Our mechanics are experts in all Mini Cooper models, so please	contact us and bring your car in today!